This was the first time I leave the country, and the second time getting on a plane, I was so excited right from the start. Here is the thing, I wanted to pay for the whole trip by myself, and that’s what happened. So the trip was a huge success even before it started. As opposed to popular belief, being a CEO of a start-up is not high paying in financial terms. I had to make full use of my 24 hours aggressively going after freelance projects and other things I used to do when I was in college to meet the target. This was the first time I work for money. Oh, am not saying that I don’t otherwise work for money, I do! I love making money but this time I had a target in mind. And I well exceeded that! So the day came, on 9th of August, I flew to Mumbai. There were two intentions visiting Mumbai. First, my flight to Jakarta was from Mumbai. I was flying on Air Asia, and yes, they have service from Cochin. 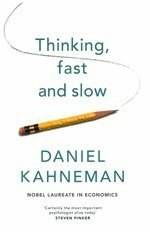 But when you book if you are flying from Cochin, it takes you Kaula Lumpur first and you have to book the next flight as a separate booking. But if you are flying from Mumbai, you have option to book it as a through flight. Flying from Cochin was much cheaper, but I choose Mumbai to be on the safer side. So I reached Mumbai, took a rickshaw to the nearest railway station. I was in Mumbai last December for the Tata Jagriti Yatra, so I was quite familiar with their Metro Rail system (but I ended up travelling in the First Class of the metro on the cheaper ticket and didn’t realize that until later, luckily there was no checking that day 😛 ). 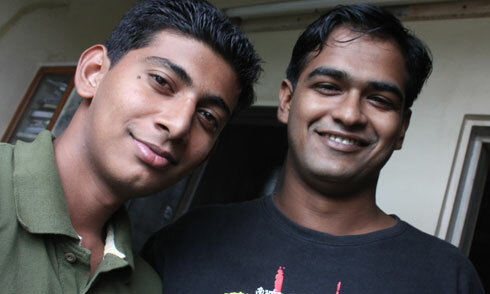 I had to get the metro to Virar, thats where my friend Sumit lives. I would be spending my time in Mumbai with him. His parents are very guest-friendly and treated me so well. I really hope I get a chance to give them back someday. Virar is quite far from Mumbai but just like Mumbai, its a mess. I went out the second morning to take print outs of my Boarding pass and I should say, once or twice I got terrified. I even felt like there were people following me, maybe I was being paranoid because I had cash with me as dollars in my pocket which I couldn’t afford to loose. I survived. When it was the time for me to go to the Airport, Sumit dropped me at the station, then took the metro again and a rickshaw to the Airport. On the way I brought a pink rose, I wanted to buy something for that someone from India. The rickshaw wala charged me around Rs 200 for what appeared like a Rs 50 trip. I was a tourist there, I had little choice but to pay. Up Above The Sky So High.. The Air Asia flight to Kaula Lumpur took off at about 11 that night, the 10th of August. The view of Mumbai is awesome at night, too bad I left my camera in my bag. I was in my seat and then this thing happens.. a cute girl sits right next to me. I was like, okay, this is interesting, you know.. I should say hi. Now then she says, Hi and I was like. .dood, today is your lucky day. Twist in the story, she asks me, are you travelling alone? I said yes. Then, Could you please exchange seat with my bf? *play the dumb background music now*. I slept off in my new seat, sitting right next to an old guy. I reached KL by around 5 in the morning next day. I walked down the flight and touched an international soil for the first time. After the formalities, and making sure that my luggage would be transported to the next flight, I was waiting near the gates and then it happens. When the time comes, you have to leave behind your everything and attend the call.. The Nature Call.. I wanted to be ready for something when I reach Jakarta, so I had carried necessary stuffs in my back pack. I went to the rest room (they have it really clean) and answered the call, brush and got ready and it was time for the next flight. Two hours later I landed on the Soekarno-Hatta International Airport, Jakarta, Indonesia. She was picking me up at the Airport. So here I was just outside at the arrival and here comes taxi drivers with their offers, its the same everyone. I told one guy that someone will come pick me up and then he offered me his phone, I knew that was a trap and said No. I was looking for a public phone and this guy wont leave me. He took me to a security guard and made the guard give me his phone. I took it and called Milana and she said she will be here in 30 mins. Now this guy wanted tip and I said I don’t have your money. He said dollars would do. I had no intention to pay him, so I said a NO right on his face and he was insulted. Tourists do have rights, you know? Now I found a way to get rid of the Taxi wala’s. Stand still at one spot. The moment you start rolling your luggage they will come after you, but if you just stay, you are invisible to their preying eyes. I waited and waited and texted and waited. She was stuck in traffic. I ran out of my credit on my phone and so I decided to look for a public phone. Went to the money changer and got some change, and made the call. She said she was at the airport and then it happened. I came out of the public phone booth and there she was with a big smile! We met! (whoops!) Then she took me to my hotel. Jakarta is beautiful with big wide roads and huge sky scrapers and cross roads. They have something at every junction, statues, waterfalls and beautiful structures. We met our mutual friends, @TengkuDewi, @DevyPrameswari and Amal, @JustDiii, @Agnes_Novi and @TheoNatalie over the next three days before leaving to Bali. Bali is a tourist hot spot. You see tourists everywhere, babes in bikinis, guys with surfing boards, young and old. 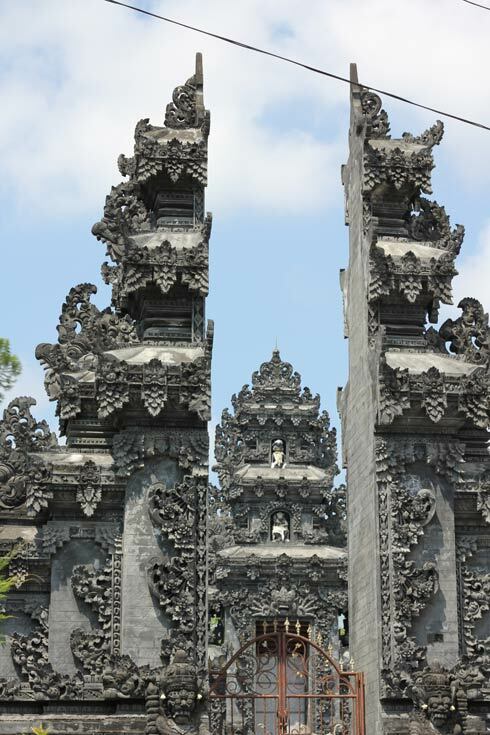 Bali has a lot of Hindu architecture though out and mostly everywhere feels like the ocean. Bandung is a cold city. Its the capital of Java Island and is just 3 hours away from Jakarta. Before the trip, everyone told me that things would be really cheap over there. Guys, Indians are the cheapest. Nothing is cheap in Indonesia, except for Petrol (INR 22) and Diesel (INR 15). Maybe I didn’t look where I should be looking. But if you got bucks, then they got stuffs that you will love to take back home. 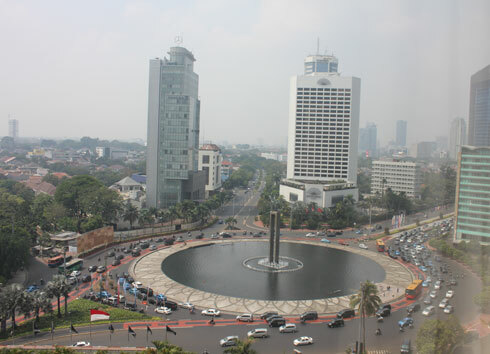 Jakarta is the Capital of Indonesia, Bandung, the capital of Java Island and Bali is a tourist hot spot. The country looks clean and developed. People in Indonesia looked happy to me, in the malls and on the streets. And they have a sense of respect for each other. Like, when I was in Jakarta in a mall, I found some people gently giving me a bow when we made eye contact. And when in Bandung, the drivers slow down the cars for me to pass by. Things like that rarely happens in Cochin. They talk too much. I went to the Bank with Milana in Jakarta and she was talking to the clerk and they talked for like 2-3 minutes. All they said was fill up this form 😛 No one talks in Banks here in India, its like everything is understood. They have a common language called Bahasa throughout Indonesia. They do have different languages in different islands, like Balinese in Bali, but everyone knows Bahasa. So if you learn Bahasa, you can survive everywhere. Taxi is expensive in Indonesia. A 10km ride can cost you INR 500 in Bali (this is an approximate). They have metered taxi’s so at least you can know that you are not being cheated. Mercedes Benz is taxi there, of course its more expensive. Toyota Camry is the more popular cheaper one. I tried some of their dishes. One thing in common, unlike south Indian dishes where each item is served separately in different bowls, they have everything in a single bowl. They sure know how to cook! I do have a bucket list and this trip cleared off many from it. Visiting friends in Indonesia was one of them. 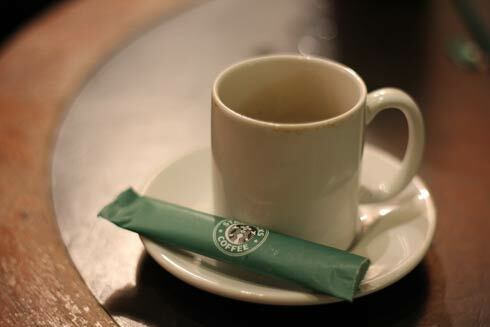 On the last day of the trip, I had something else from Bandung and that tasted more like coffee. Check! I had my first KFC in Bali. 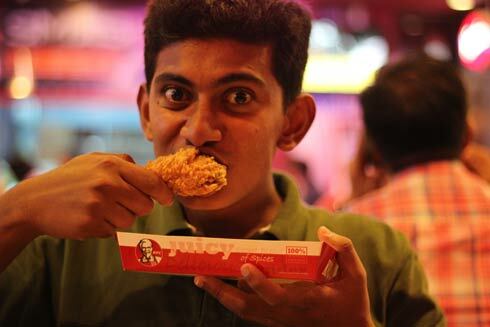 Well, there is KFC in Cochin but I never got a chance to have one. It had to come from Bali, who would have thought that? Chicken tastes the same everywhere, just awesome! Interestingly KFC costs the same as in India. In Bahasa, Chicken is Ayam. There was a lot of KFC involved in the trip and one lady was kind enough to give me a whole sheet of KFC stickers! Flying to Mumbai (from Cochin) and then to Jakarta was a bad idea. First it cost you to fly to Mumbai. Then the distance to Jakarta from Mumbai is more than the distance from Cochin, so the flight charges are more. I could have saved about 15,000 rupees if I had flown to Kaula Lumpur (all Air Asia flights fly to Kaula Lumpur first) and then if I had booked a connection flight separately to Jakarta. Air Travel is cheap within India if you book well in advance, thanks to the Cheap Flights. I flew to Mumbai in Spice Jet (about Spice Jet, they are cheap and they are cheap. I am told that its better than many other cheap flights, but I should try Kingfisher next time). It costs be INR 4800 for flight from Cochin to Mumbai and back. thats just 2400 one side and the total flight including the time spent at airport is about 2.5 hours. Travelling by 2nd class A/C train takes 36 hours and costs 1600-1800 bucks. When you consider the time saved, plus you are flying, plus you arrive fresh, plus you don’t have to use those smelly toilets, flying is a better option. Air Asia is cheaper than most other flights, but they are actually really good. Okay, now my frame of reference is obviously Spice Jet since I haven’t tried any other airlines. Still, you know when something is good right? I would really recommend Air Asia. I am told that if you are planning a vacation, keep checking their website for offers at least 6 months in advance and sometimes they give you terrific deals. 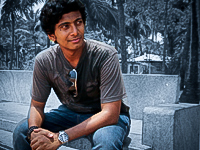 I have heard the story of a guy who paid a little over INR 5,000 for flight up and down to Australia from Cochin. Flights can be really cold at night, and Air Asia charges you pretty well for Blankets and neck support. It’s good if you can bring your own Blanket and that inflatable Neck support. I had wondered why Flights advertised Flat Beds in their Business class so much, c’mon its a flight. But once you are up in the air, it can get pretty un-comfortable. There is nothing to be worried about the formalities at the airport. You need your ticket and Passport to get past the guard at the entrance. Next walk to the counter for your specific flight and they will guide you from there. No big deal, just go with the flow. 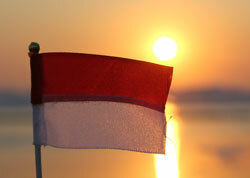 Tourist Visa for Indonesia was Visa-On-Arrival. Pay the amount (it was $25 for 30 days) and you get the visa. Again, No big deal. When you fill in the Arrival Form, there is a Departure From with it too. You will get it sealed from the Emigration. KEEP IT SAFE. You will need it while you leave the country. And no one will tell you to keep it till you leave. I was collecting everything including boarding passes, and hence I had it with me. On my way back from Jakarta the officer asked me for it and I couldn’t find it at first. So I asked him is it that important? and he replied, You cannot leave this airport without that! Telephone charges are the lowest in India I think. Even local calls are expensive ( as compared to Indian rates) in Indonesia. A call from Indonesia to India would cost INR 120 from mobile. (If you call Indonesia mobile from Airtel in Kerala, its INR 6.40 or 10 depending on your SIM). Airtel has roaming in Indonesia, its INR 100 per minute for incoming. Good thing is, SMS incoming is free. SMS outgoing costs INR 25 to India or Indonesia. When you buy dollars, get some change, as in 5$ bills. I had 1$ and I exchanged them at the airport for-ex to make local calls. Do not use the Money Changer at the airport. Their conversion rates are always lower than the outside rates. Go to a local bank or you could find Money Changers in the malls and other public places. They give better conversion rates. The Indonesian Trip was an experience of a lifetime. If I say anything more, It would be an understatement. Dood, make sure you keep the departure form (the counter foil of the arrival form) safe when you reach there. No one told me that and I would have been stuck in there without that. I expected a lot more from you..on your meeting with Milana and I do not agree the story is complete..ha ha.. I understand..:-) but well articulated. That’s very encouraging.. Thanks man! OMG! @rMil and you?!?! Woah! I always imagined her to be a mature adult and u , a kid. 😛 Good going! Dude.. where are the pics of Bikini Babes???? What is the total cost you incurred dood?